Speedy superhero The Flash has already appeared in comic books, movies and TV series and now gets the video slots treatment courtesy of Playtech. Played using a 5 reel, 50 payline game engine, look out for The Flash who can race across the reels to create plenty of extra wilds. There’s also a free spins round where a battle bonus can deliver extras awards of up to 100 times your bet. There’s also a chance to land a life changing progressive jackpot prize. Play on all devices from between 50p and £500 per spin. As you’d expect, the design here is done comic book style – it’s neat and crisp and works pretty well. The lower value A to 9 symbols are joined by a cast of characters from the comic strip as well as The Reverse Flash and The Flash Logos. These can combine to create a winning combination. The best paying combination features 5 of The Flash logo which will get you an award of 40 times your total bet. Playtech has packed in a decent range of extras here. Random Wilds feature – The Flash can rush across reels 2, 3, 4 or 5 on any spin and in the process turn symbols wild. A new payout is then made with the new wilds in position. Battle feature – land 5 scatters on the same spin and you’ll trigger this slightly unusual free spins round. The first decision you’ll have to make is whether you think The Flash or The Reverse Flash will win the ensuing battle. Above each reel you’ll see a cash value – 1 of these is highlighted on each free spin. 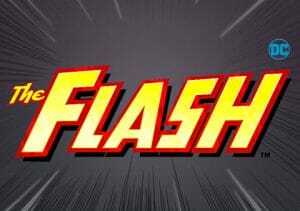 If The Flash logo lands on reel 2, then he wins the highlighted prize. If The Reverse Flash logo hits on reel 4, he claims the prize. The free spins keep on coming until all of the 5 prizes above the reels have been claimed. If your chosen super hero won 3 or more prizes, you’ll win all the bonuses. If you won 2 or fewer bonus prizes, that’s all you’ll win. These prizes can reach up to 100 times your bet and can be well worth winning. DC Super Heroes Jackpot feature – you’ll also have a chance to land a potentially life-changing progressive prize as The Flash is part of the DC Super Heroes Jackpot network. The jackpot round can become active on any spin. You’ll then pick from 20 objects behind which are coloured gems. Fill a meter with the same coloured gem and you’ll win the associated Mini, Minor, Major or Grand Jackpot. We’ve found some of the video slots in this series a little over the top in terms of design and features. The Flash is much more stripped back and works well. The clean and crisp visuals are nicely put together, complemented by a bouncy backing track. The range of extras isn’t massive but the added wilds and free spins come along regularly enough to keep things interesting – you can win 2,000 times your bet on each spin/free spin! If you’ve enjoyed the other games in the DC Super Heroes series, then you’ll find plenty to like about The Flash. Saying that, I do prefer Aquaman and Wonder Woman as they look better and have better bonus features.